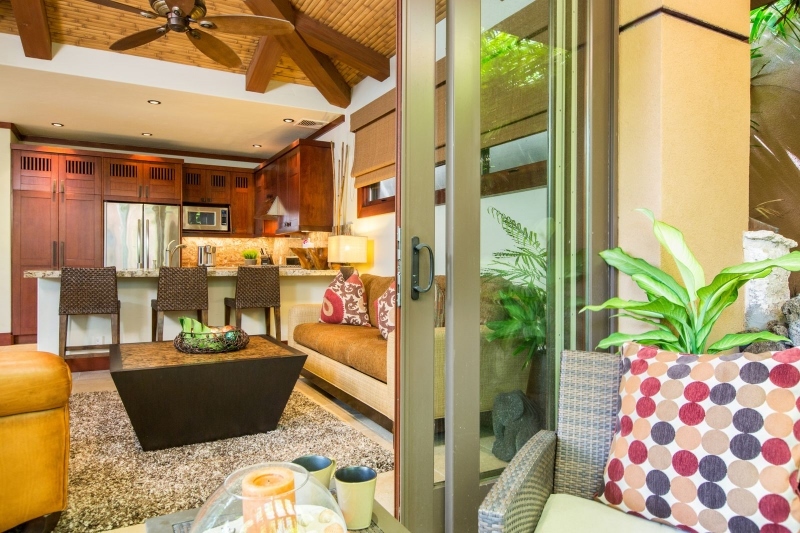 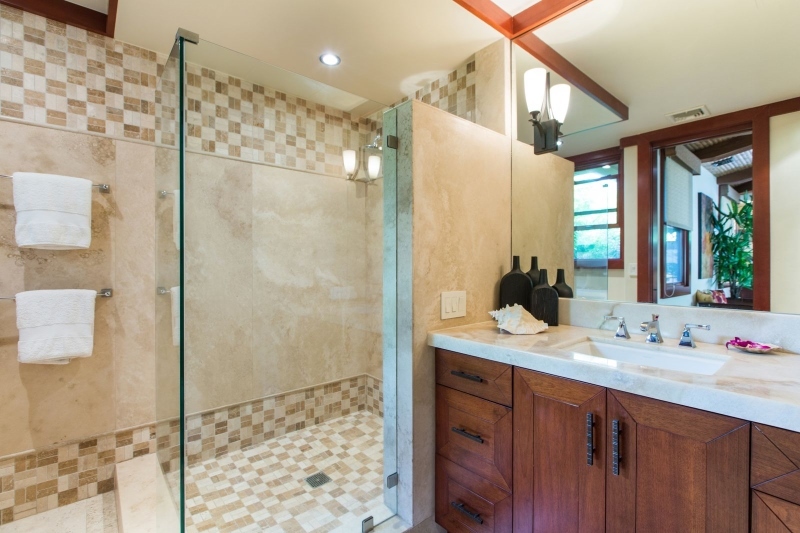 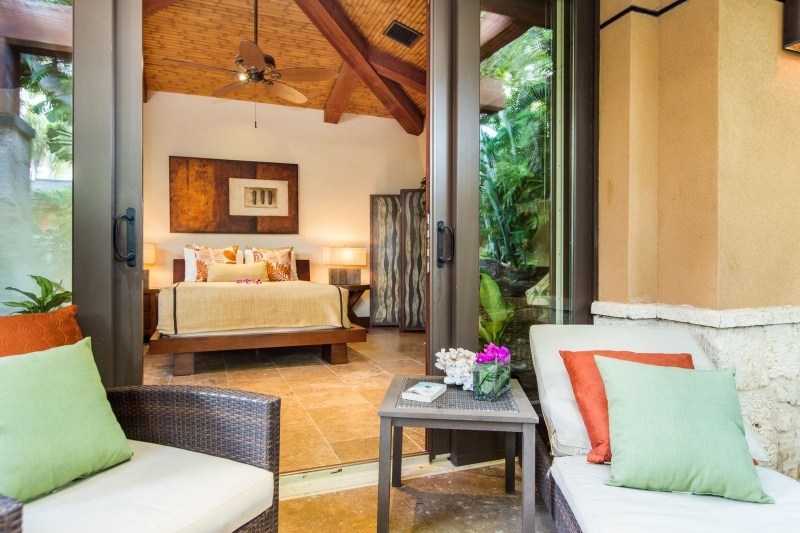 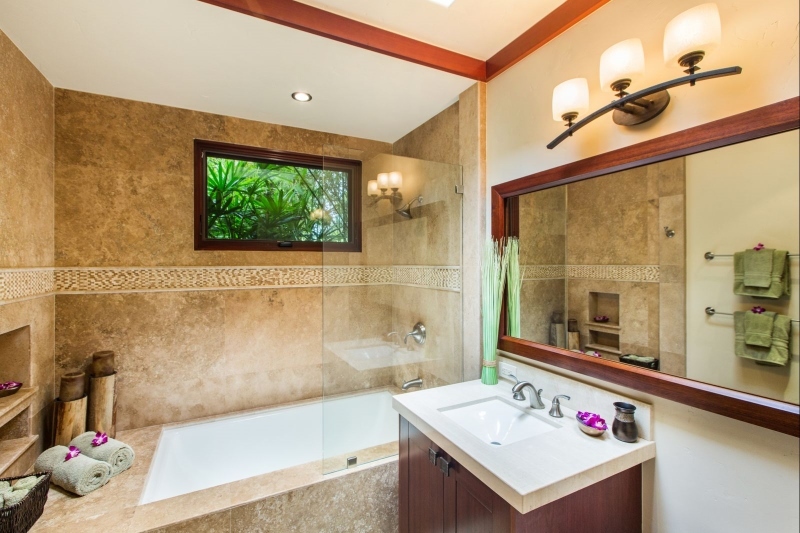 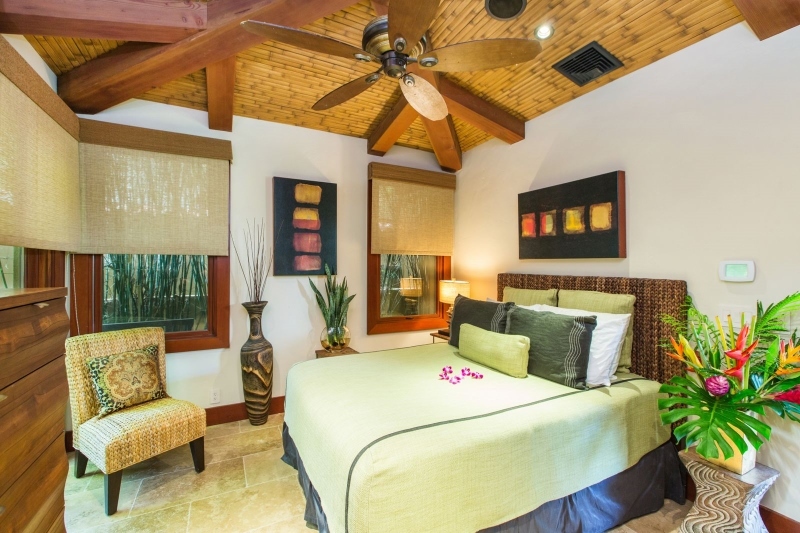 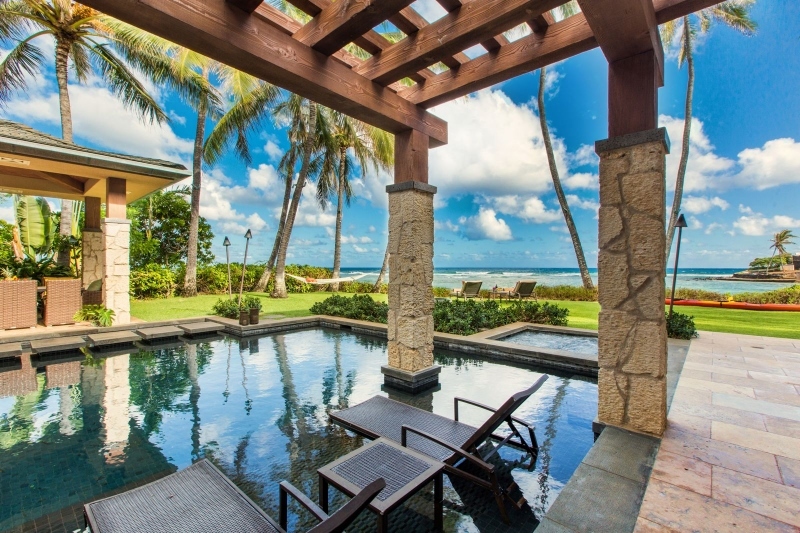 Banyan Estate – Luxury Vacation Homes, Inc. 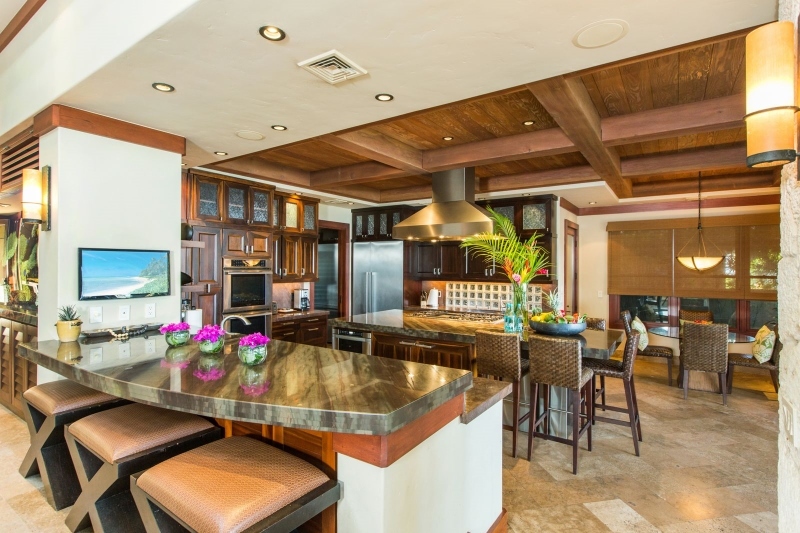 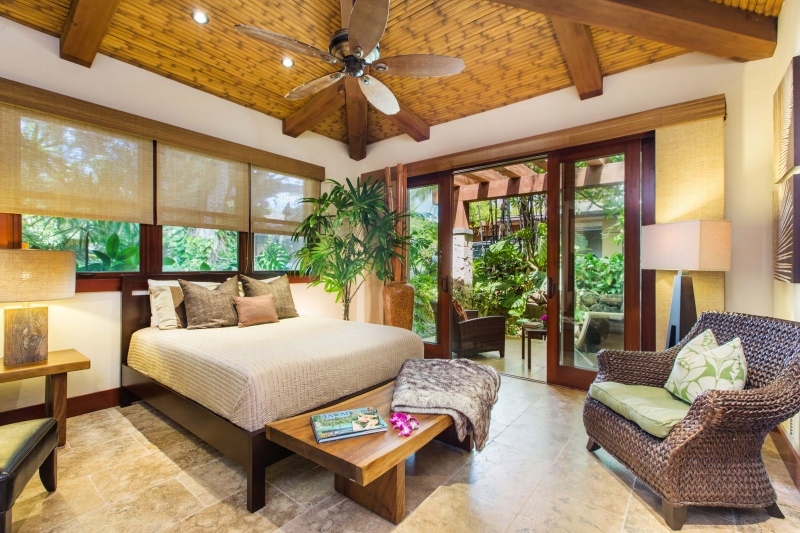 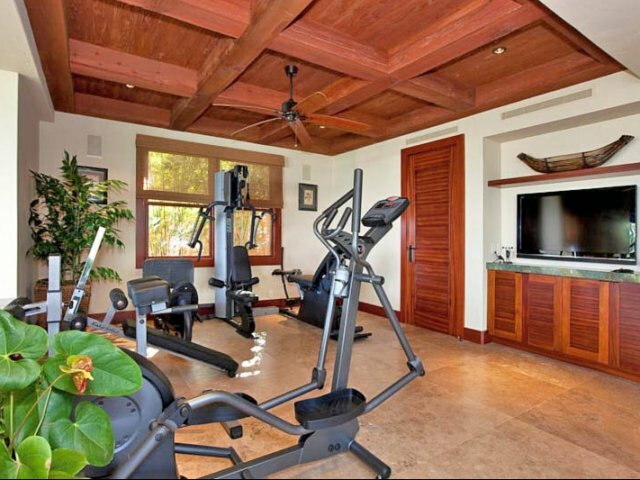 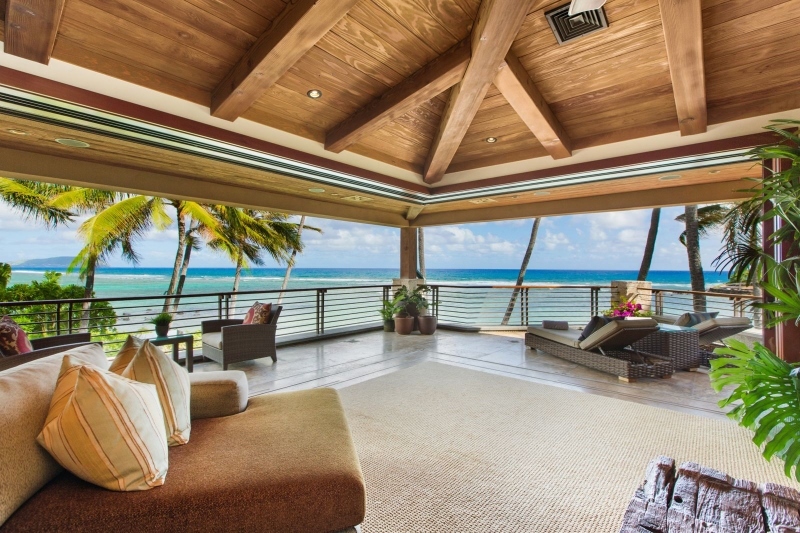 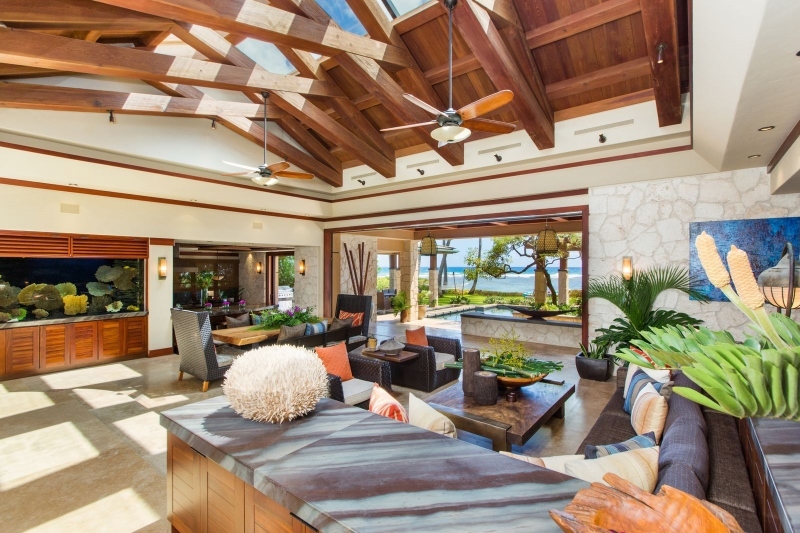 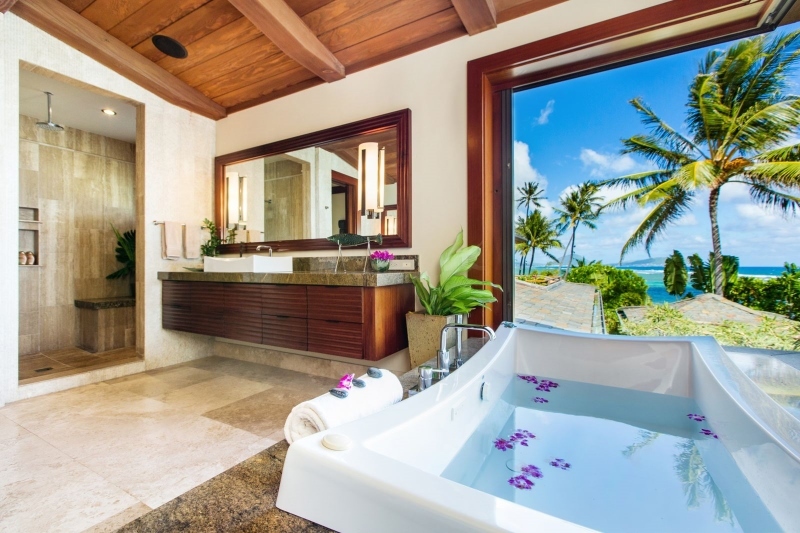 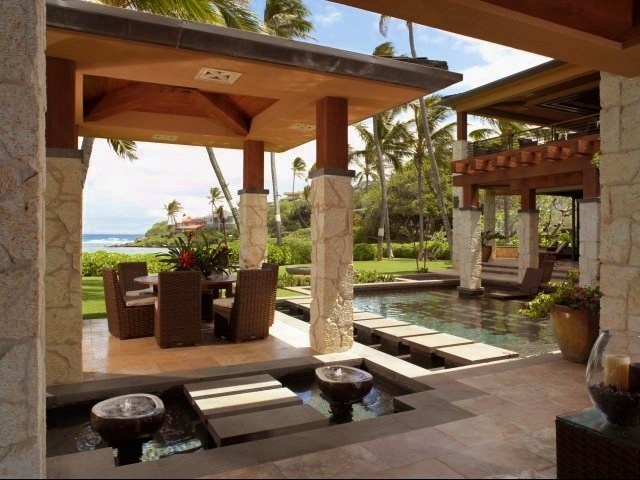 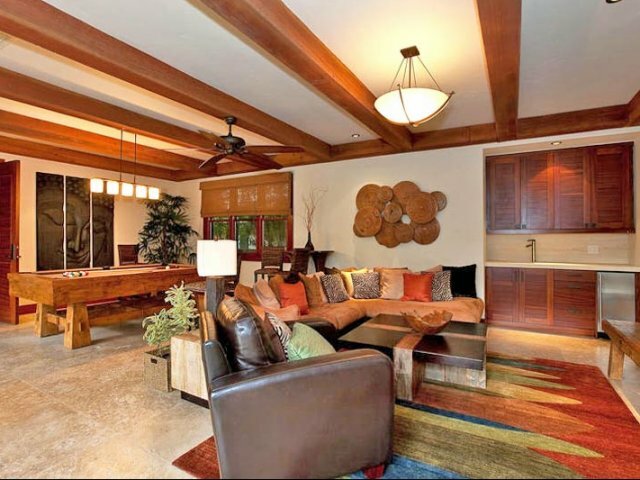 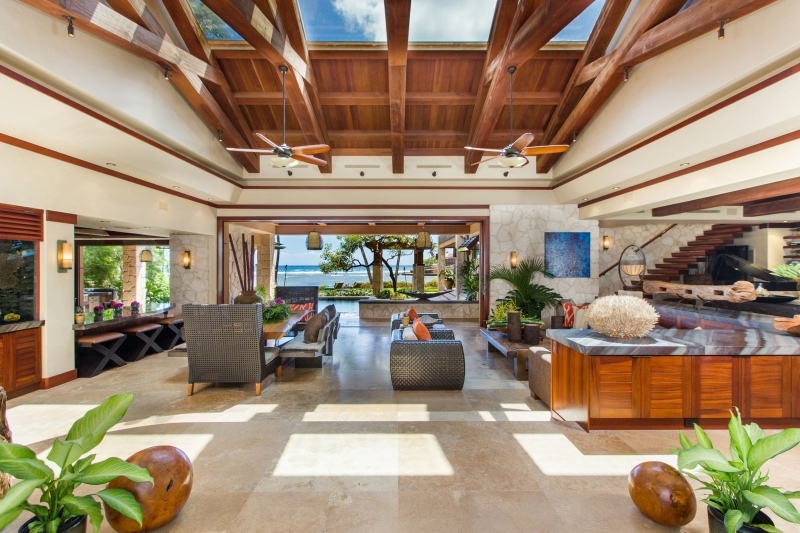 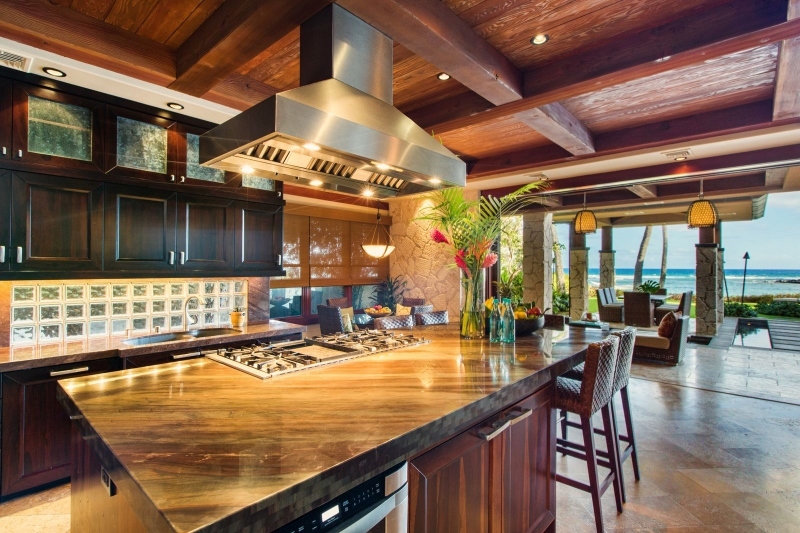 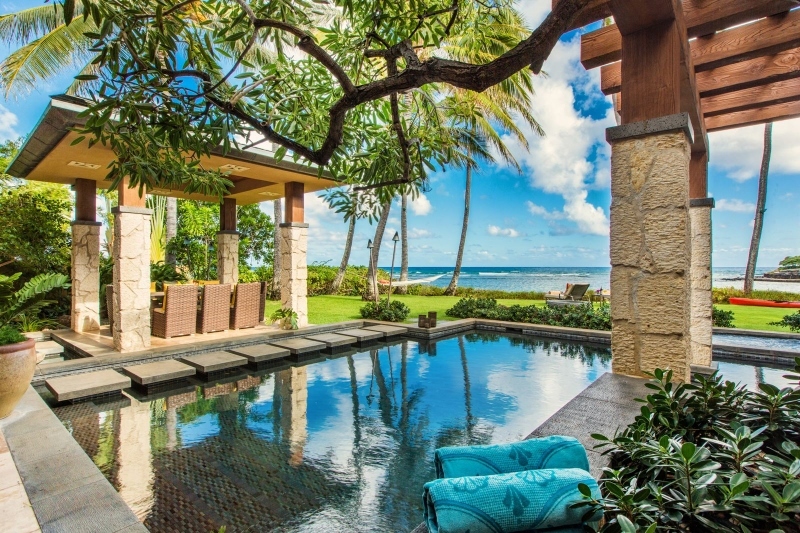 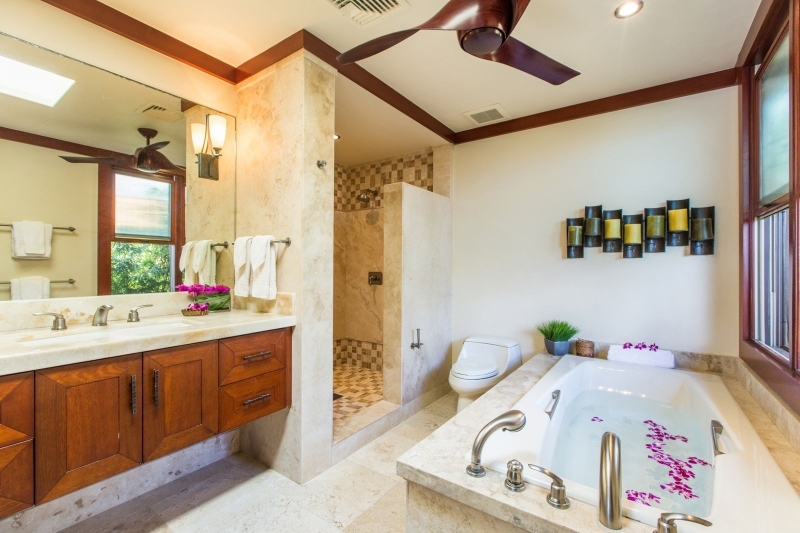 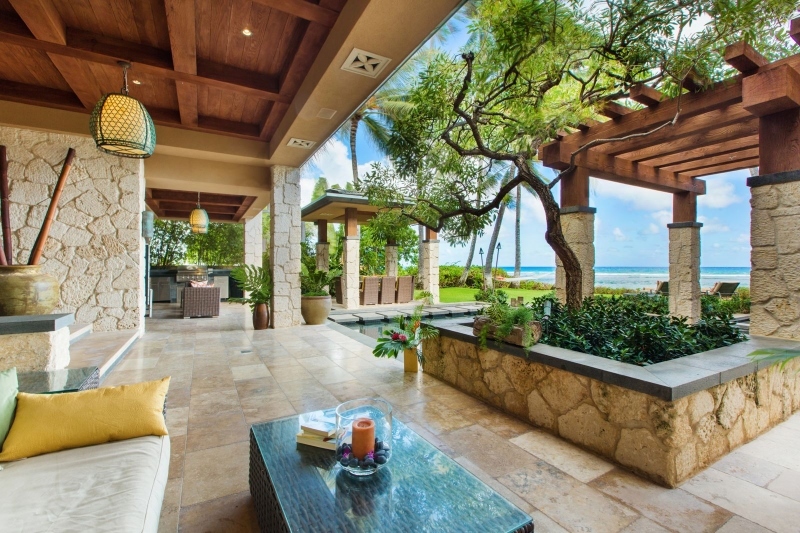 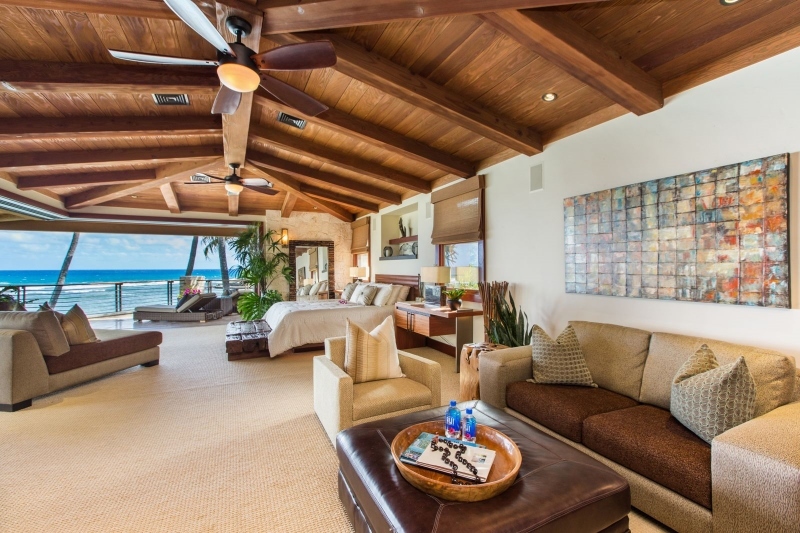 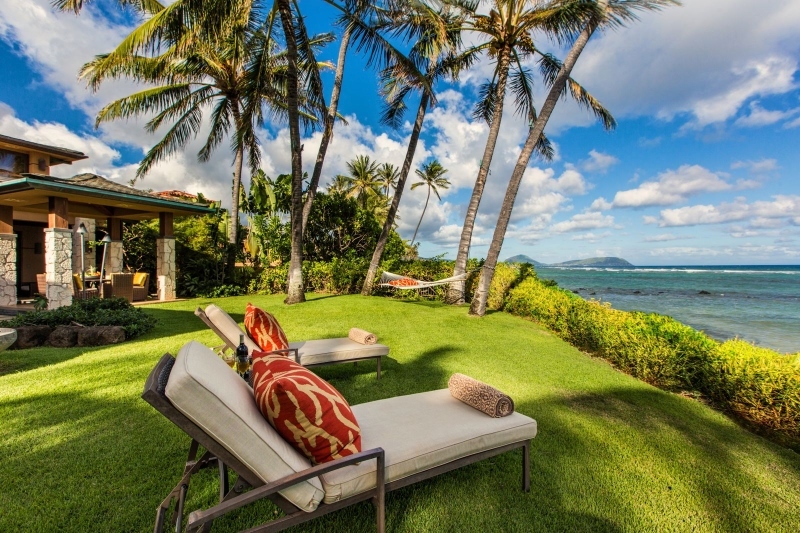 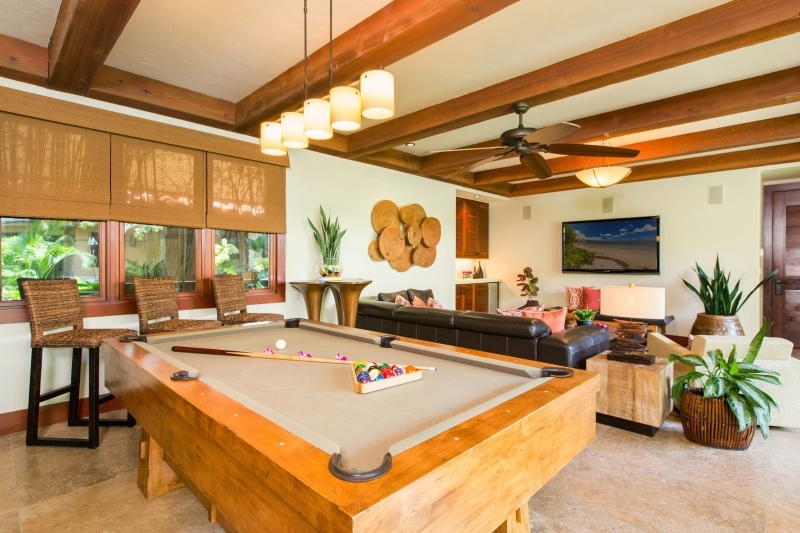 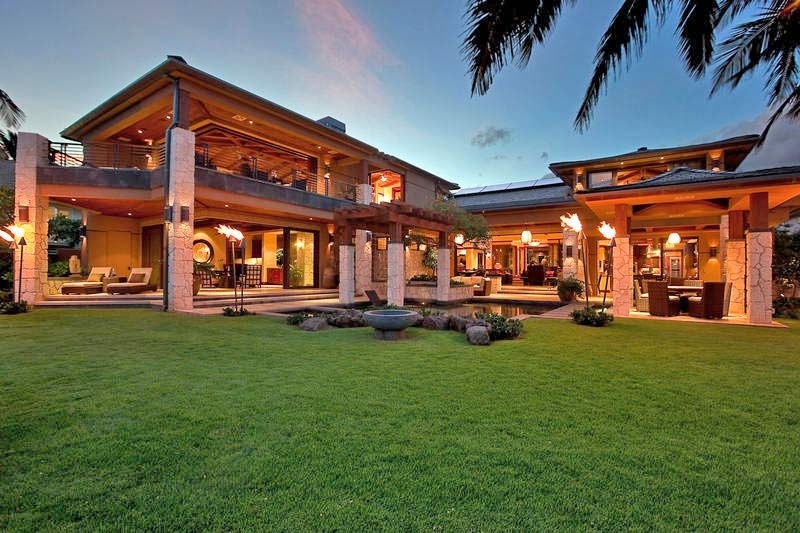 The Banyan Estate is Oahu’s most luxurious and private beach estate. 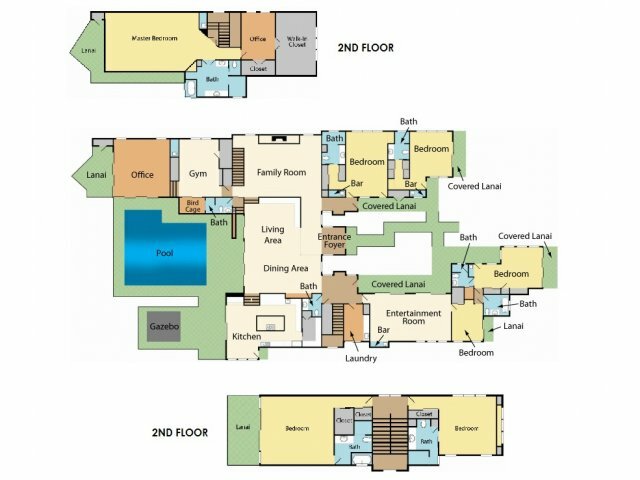 It’s newer construction boasts 13,000 Sq Ft of interior living space comprised of the highest quality building materials, finest furnishings and top of the line finishes. 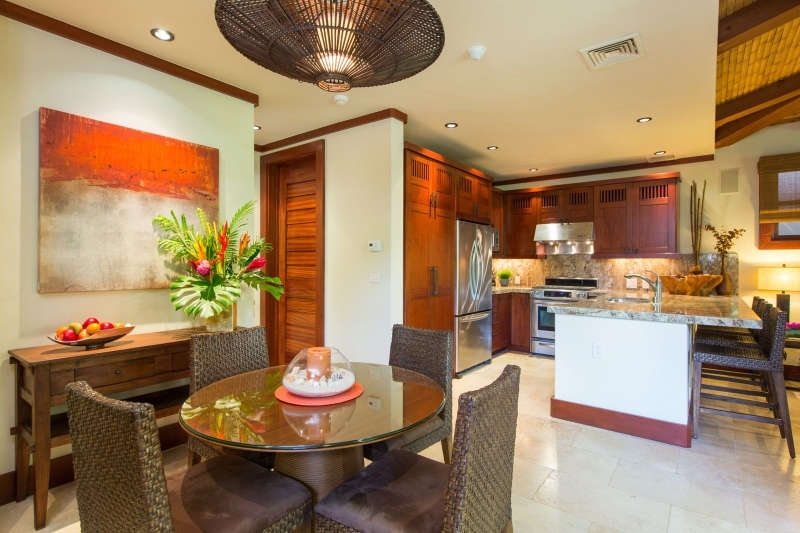 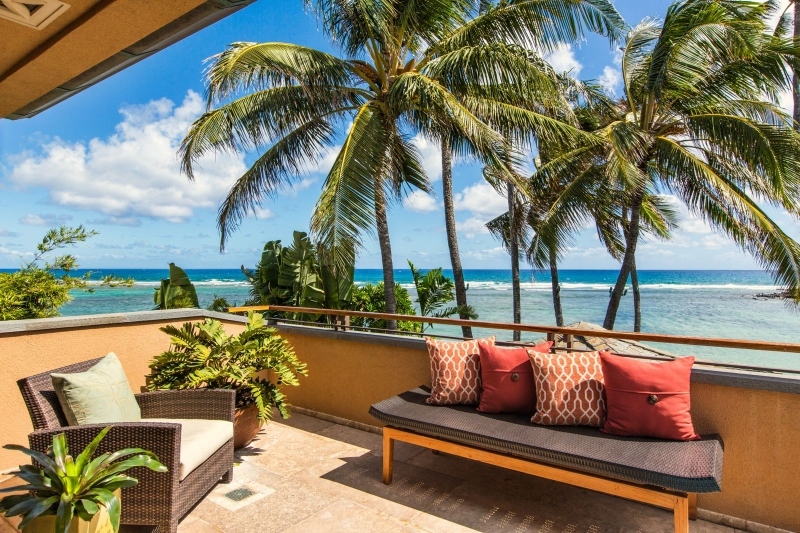 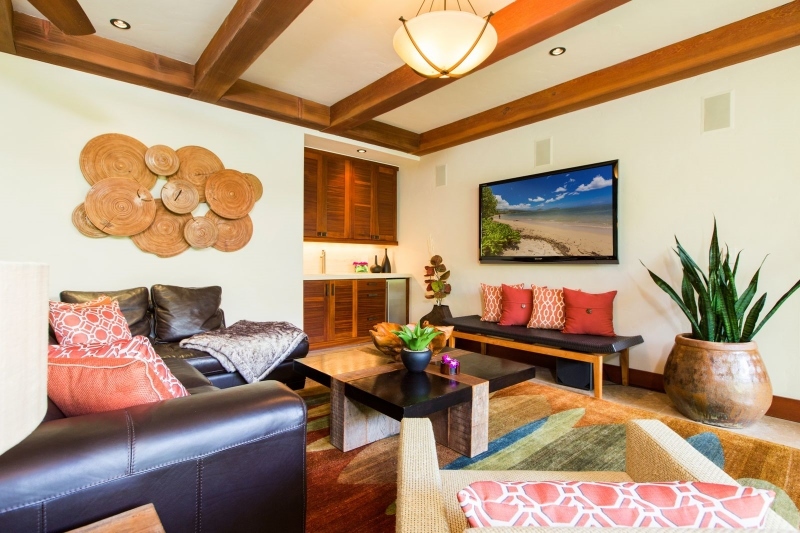 This stunning Oceanfront Paradise is located at the center of the Royal Circle Cove in the prestigious neighborhood split between Diamond Head & Kahala on Oahu’s South Shore. 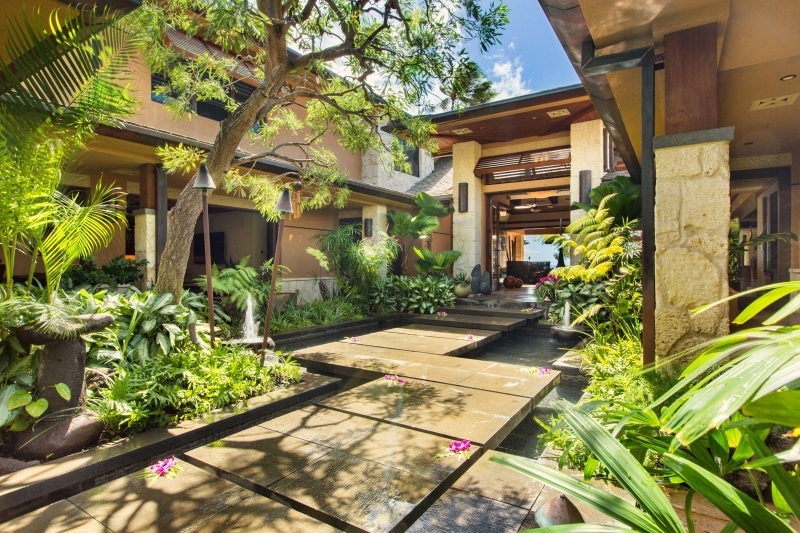 A large and distinguishing gate opens to a dramatic round-about driveway circling a full-grown historic Banyan tree. 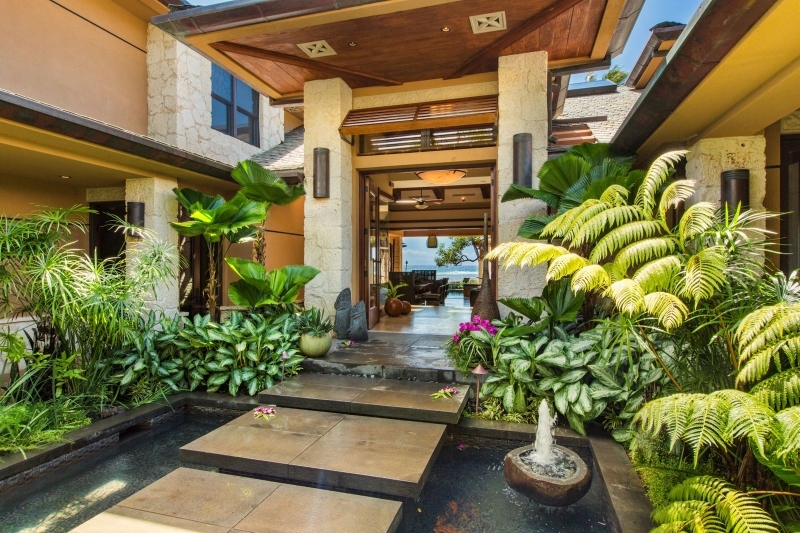 Floating steps lead you through the foyer, over the pond and to the entrance where the Grand Room awaits… never ceasing to amaze. 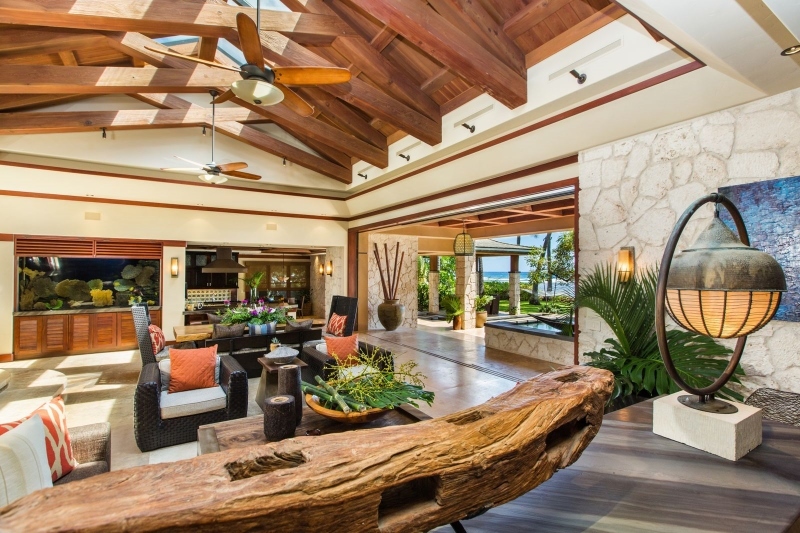 The Grand Room features vaulted, open beam ceilings and is the center of this architectural masterpiece. 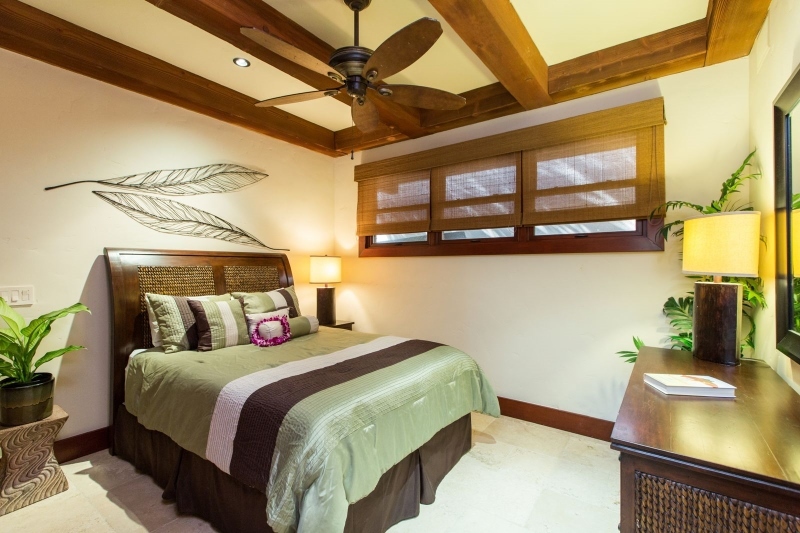 From it extends two wings, the gourmet kitchen, game and media room, gym, private guest rooms, pool and Jacuzzi. 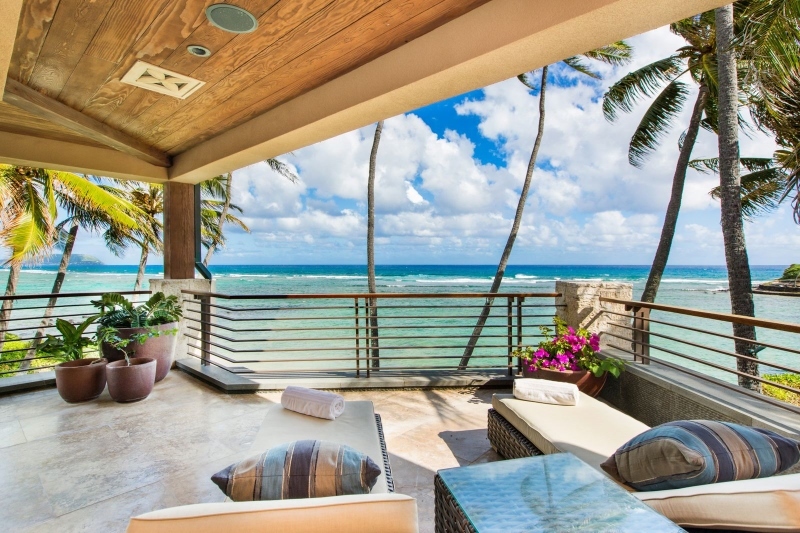 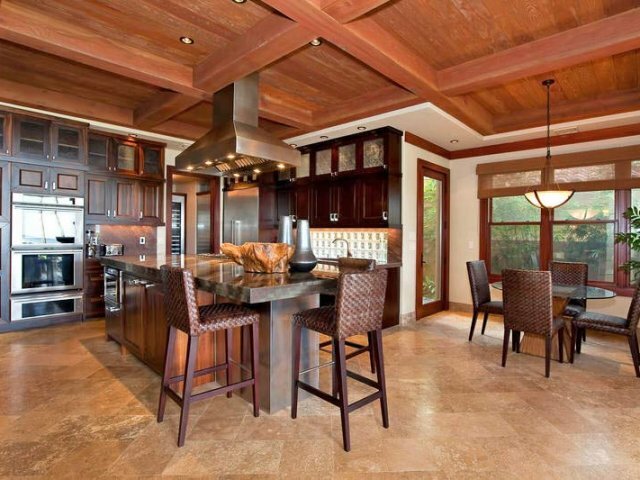 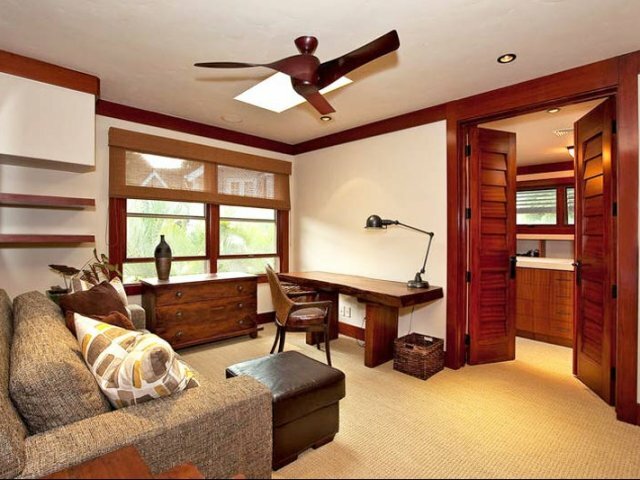 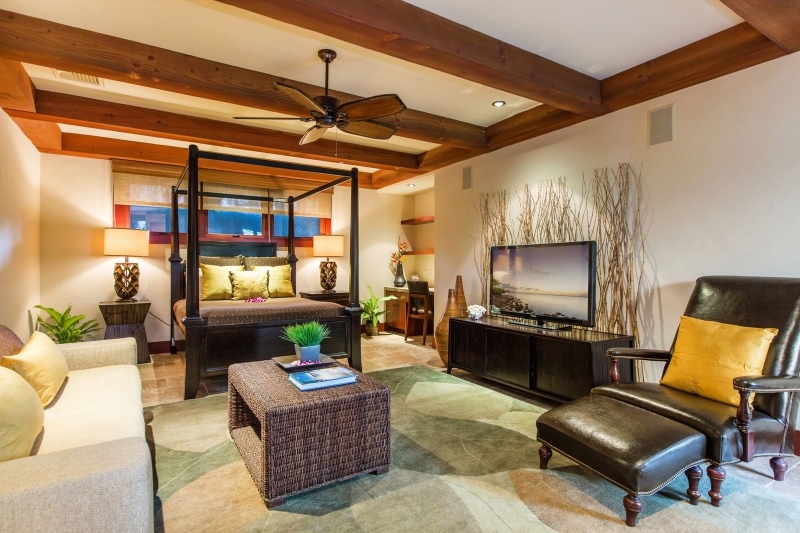 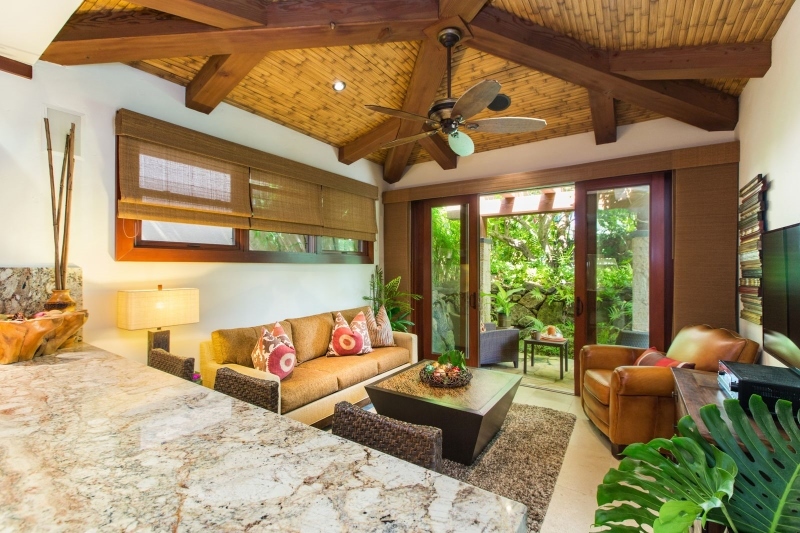 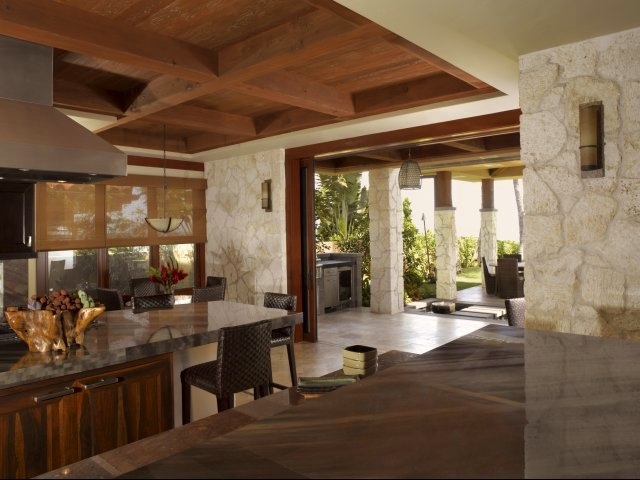 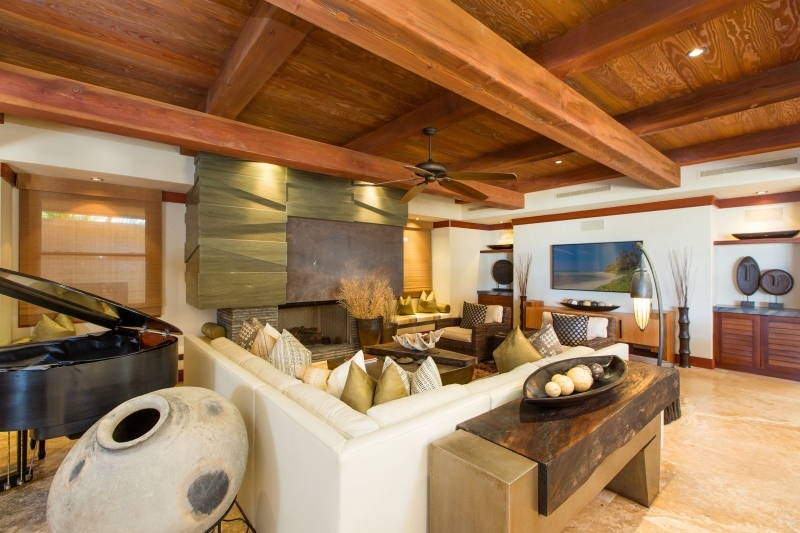 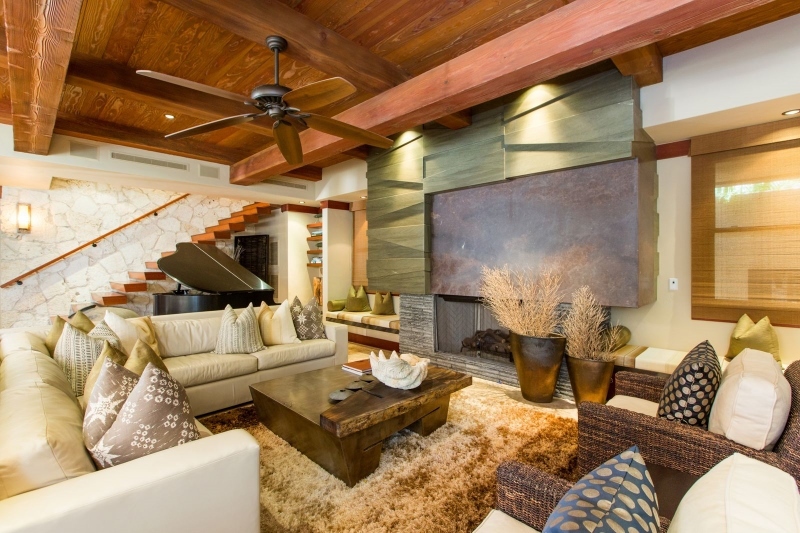 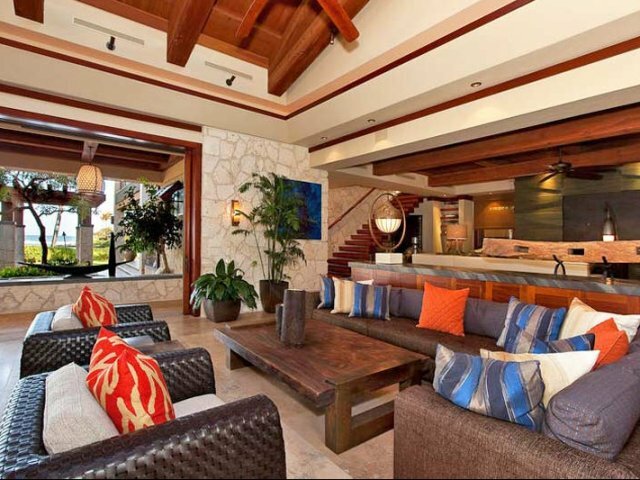 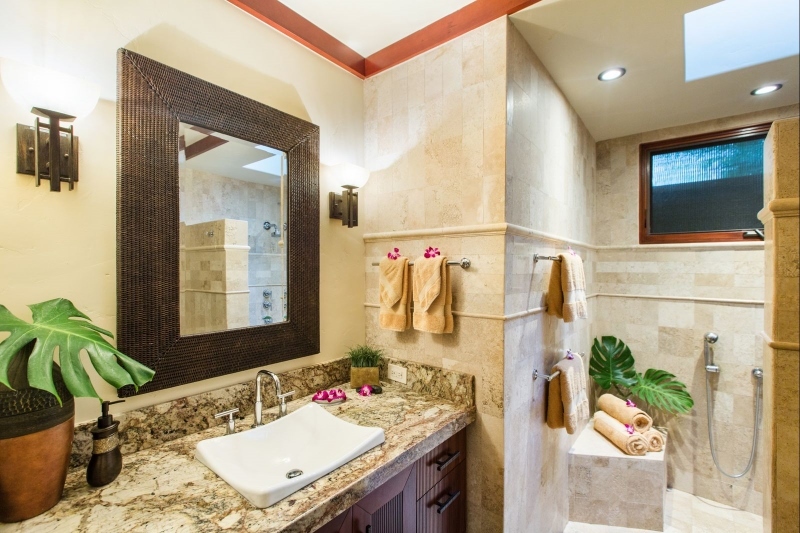 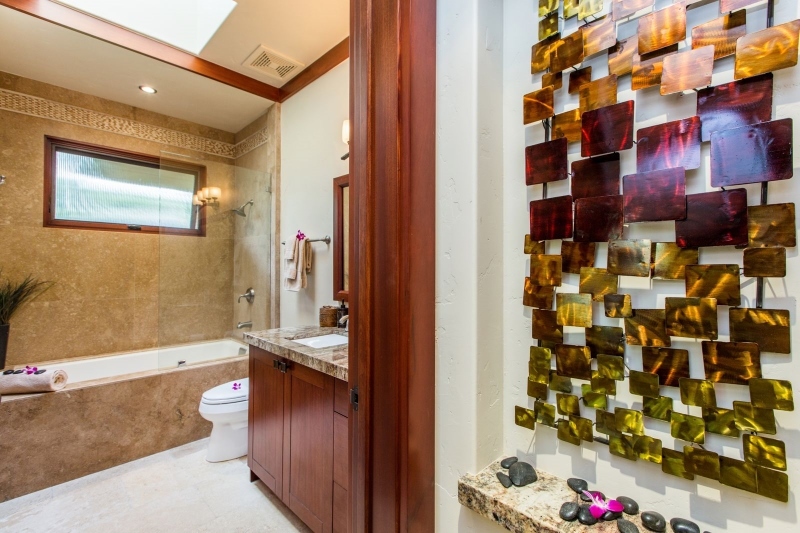 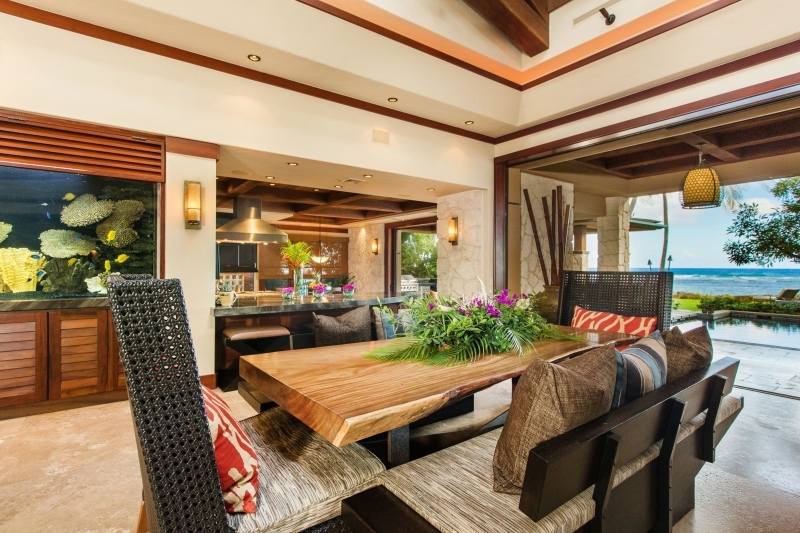 Throughout the home you will find stunning ocean views, immense space and privacy, and the finest furnishings. 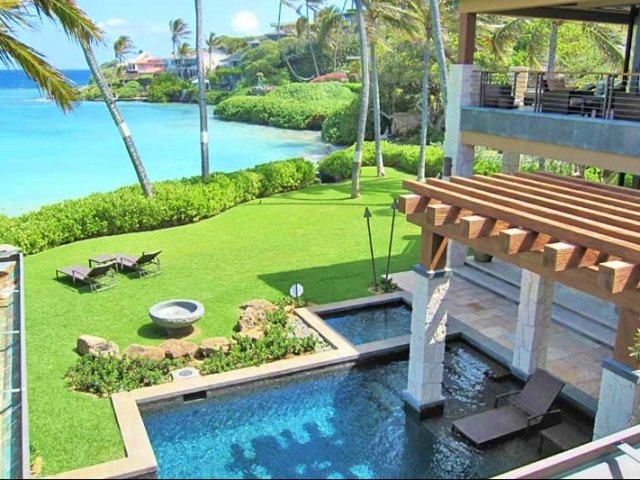 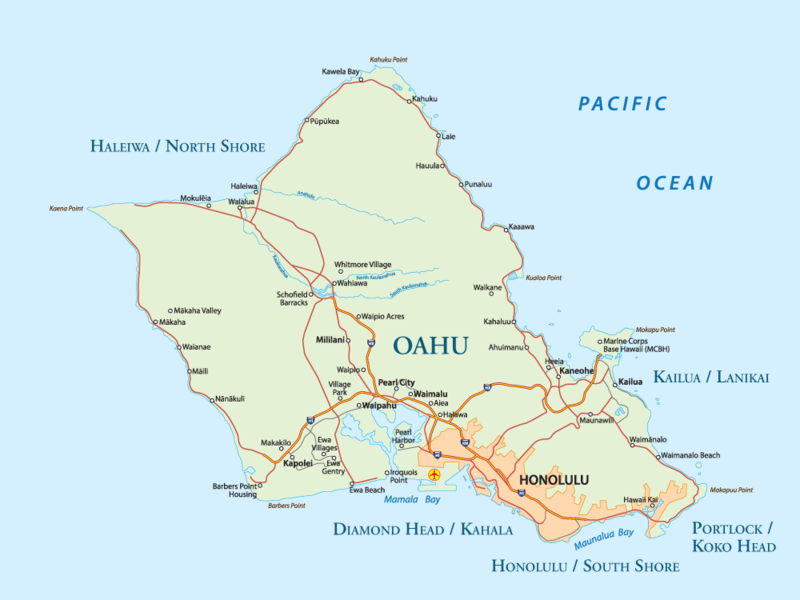 Beyond the pool is a large yard with manicured green lawns enclosed by native Naupaka bushes, commonly found near the ocean. 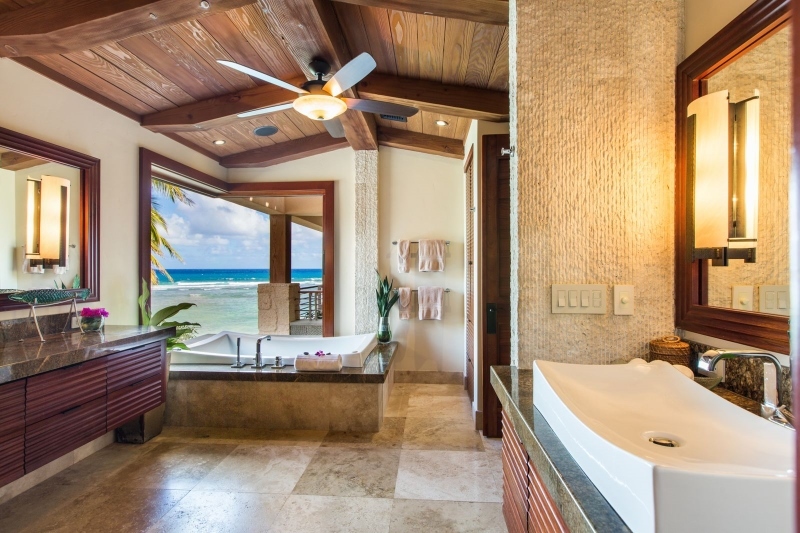 Just walk out the door and straight into the crystal clear ocean. 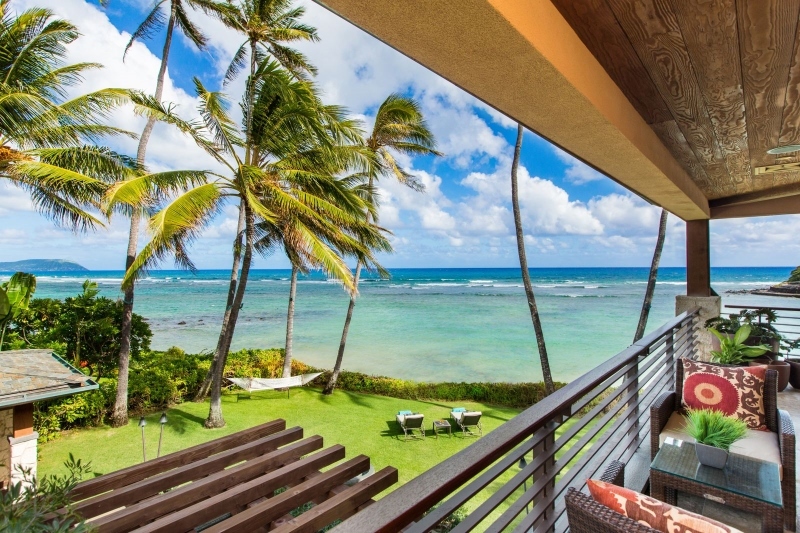 The cove is perfect for swimming, snorkeling and surfing. 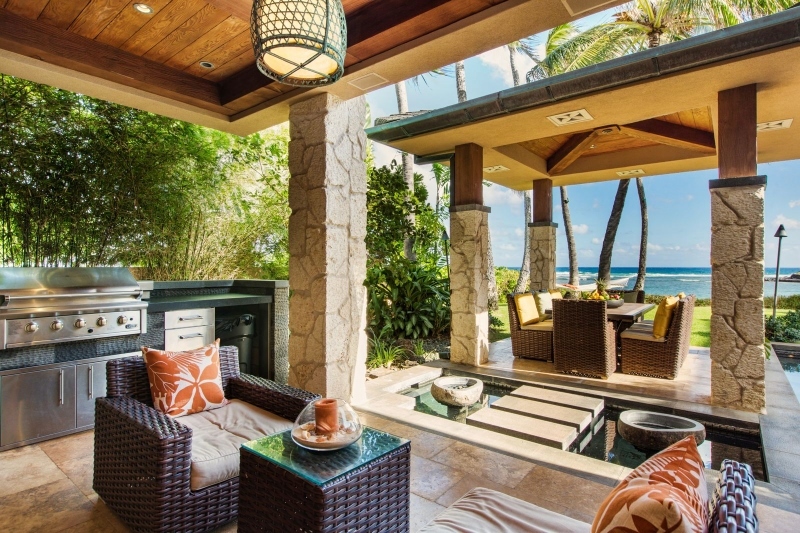 At night, tiki torches light up the grounds and create the dreamy Hawaiian ambiance you’ve been longing for. 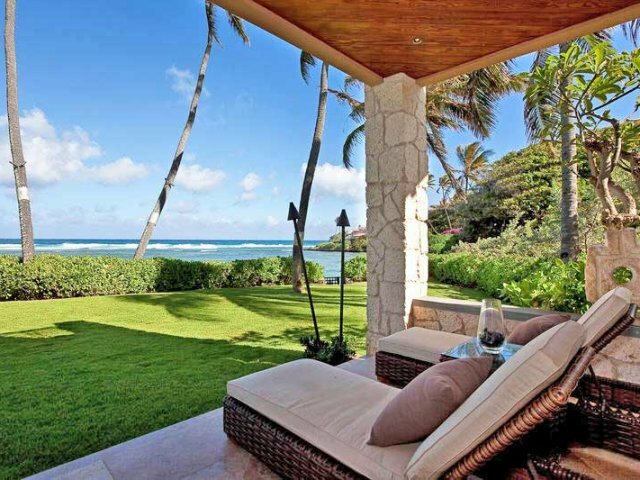 Come experience life as it should be: peaceful, fun, carefree and truly fulfilling.